Secondary school of Josef Sousedík Vsetín is a high school with fifty year tradition. Currently, it has 622 students. The school is one of the biggest schools in the region, not only by the number of students, but also by the scale of the study programmes. The school offers study programmes of Gastronomy, Building Industry, Mechanical Engineering, Business and Services. However, in the long term the interest for these field decreases among students and the number of students in the school consequently decreases as well. One of the long term goals of the school is to motivate young people for these field of education and to prepare them for their involvement to the labour market. The school is active in the field of European projects and with the support of Erasmus+ and Leonardo da Vinci programs actively arranges internships abroad for students. The school also builds its public image by cooperating with regional media and tries to inform wider public about significant achievements of the school or its students (for example regional or international competitions, etc.). The main activities of the school are based on the strategic plan. The top priority is educational process, where the school focuses on active form of learning, evaluation of the educational process and finally the development of international cooperation and partnerships, which help the students to advance their knowledge and language skills. 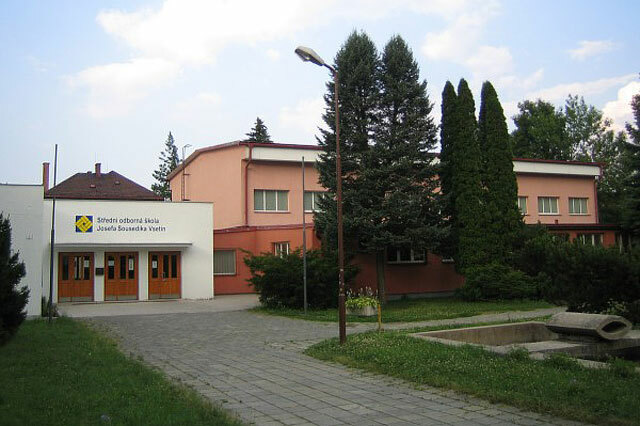 The school has a significant experience with international projects, mainly in programmes Erasmus+ and Leonardo da Vinci. The school cooperates with German organization F+U Sachsen GgmbH in Chemnitz and newly with the Tellus Group based in the UK. The school participated mainly in project focused on the student mobility and support of technical field of studies and crafts. For example mobility for students in those fields: confectioner, joiner, plumber, cook, mechanic, etc. The school has among its students some members of different nationalities/ethnicities and citizenships. One Mongolian and several Vietnamese, Romanian and Slovakian students and Roma students are studying at the school. There have been some activities for the Roma students which were financially supported by the Czech Ministry of Education, Youth and Sports. The school believes that it is important to respect the differences between different nationalities and in its education, it uses programmes focused on the topic of discrimination and equal opportunities.